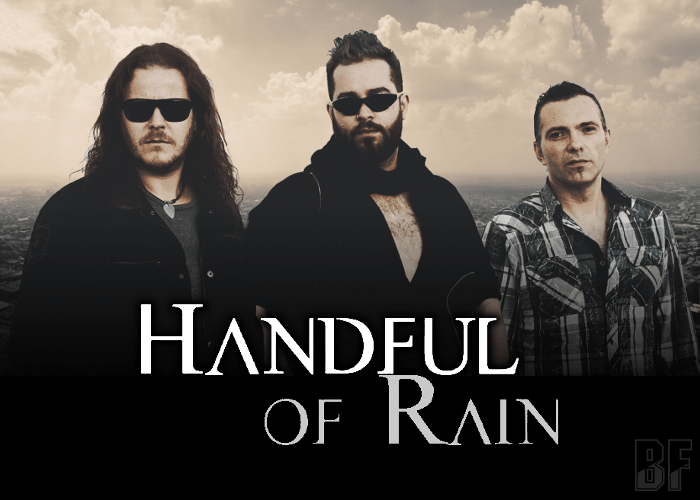 HANDFUL OF RAIN is a Spanish Hard Rock act formed in 2005 by David (Vocals), Niko (guitar) and Dave (guitar). They're playing original music which is full of the essence of Hard Rock with the influences of bands such as Bon Jovi, Skid Row, Gotthard, Mr. Big, and Guns N' Roses. The band released their self-titled debut EP with five tracks, mixed by Wyn Davis (Dokken, Dio, John Norum, Great White) at the All Access Studios in Redondo Beach, California (USA), in 2006. After that, the line-up has been changed. 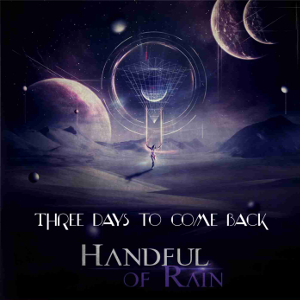 On July 1st in 2016, they've just released their long-awaited first full length album entitled “Three Days To Come Back”. The album contains 11 powerful Hard Rock tunes and was recorded, produced and mastered by Dave Lago. Drums part was recorded at El Búnker/Josema Dalton Studio, Drum recording sessions by Tini Fernández, Bass recording sessions by Jesús Fresno. Cover artwork designed by Nocturnal ARTheater. The band has played with numerous artists such as SEBASTIAN BACH (Skid Row), U.D.O (Accept), GREAT WHITE, HOUSE OF LORDS, TESLA, BONFIRE, Y & T, PAUL DI' ANNO, LOS DRAGONS, Mike Terrana (Yngwie Malmsteen), Graham Oliver (Saxon), Don Roxx (Eric Martin), Jack Meille (Tygers of Pantang), BIG NOIZE, Phil Soussan (Ozzy Osbourne), Carlos Cavazo (Quiet Riot), Simon Wright (AC/DC), OVER THE RAINBOW, Greg Smith (Alice Cooper), Joe Lynn Turner (Deep Purple), Jurgen Blackmore (J. Blackmore Band), Bobby Rondinelli (Black Sabbath), M.S.G (Michael Schenker Group), AXXIS, LYNCH MOB, PRETTY BOY FLOYD, L.A GUNS, GLENN HUGHES and other great Spanish bands. Also they have appeared many festivals such as F. Quiñones Festival, Villa de San Adrián festival 07, Guarrock festival 07, Granito Rock Festival 07, Rivas rock festival 07, Aguirockfest 07/08, Sevilla Inrock Festival 07, Ripollet rock festival 08, Rock Villa de Bilbao 09 and Rockin Transilvania (Romania 2010), Fraguel Rock Fest (Germany 2012). All fans of Hard Rock should check out their new album.